At the last minute (like 2-3 weeks before Christmas) I felt the need to knit a few Christmas and Hanukkah presents. Total insanity. I had nothing else pressing, so why not, right?! Mmm hmmm. I actually knit two of these headbands — the red one here and a light pink one. I've since knit two more. They are super quick and fun and VERY popular! I used various bulky weight yarns, but went down to a size 11 needle. The 13 just didn't create a tight enough fabric for my liking. 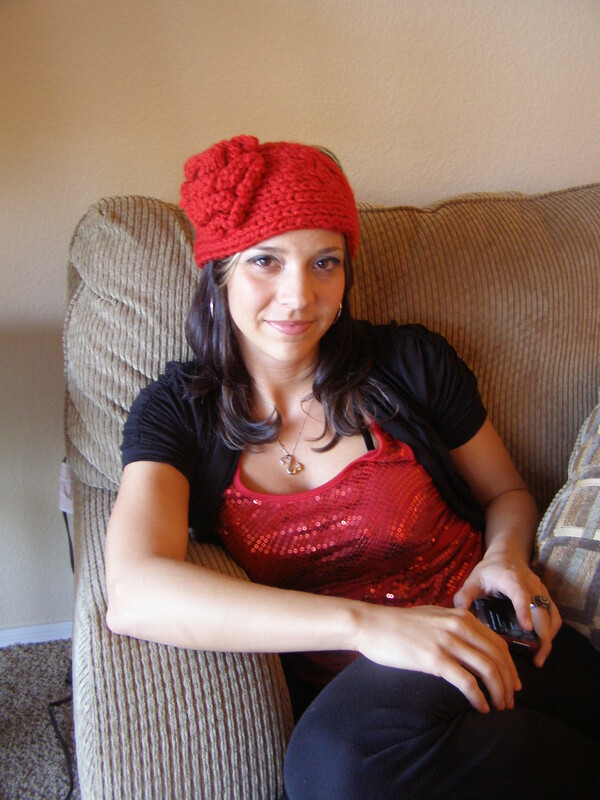 The pattern is the Ashley Head Band pattern from Pepperberry Knits. The pattern is so well written that I may have to try her hat next. 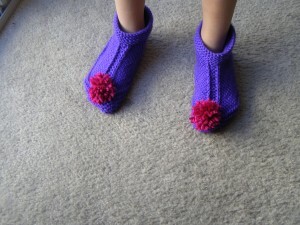 I then decided that I needed to knit my two youngest children slippers. I never knit the two little ones anything, mostly because I know they won't appreciate or wear it. (I gave Sarah a pair of fingerless mitts made out of very nice handspun yarn over Thanksgiving.) I was mostly right about that. 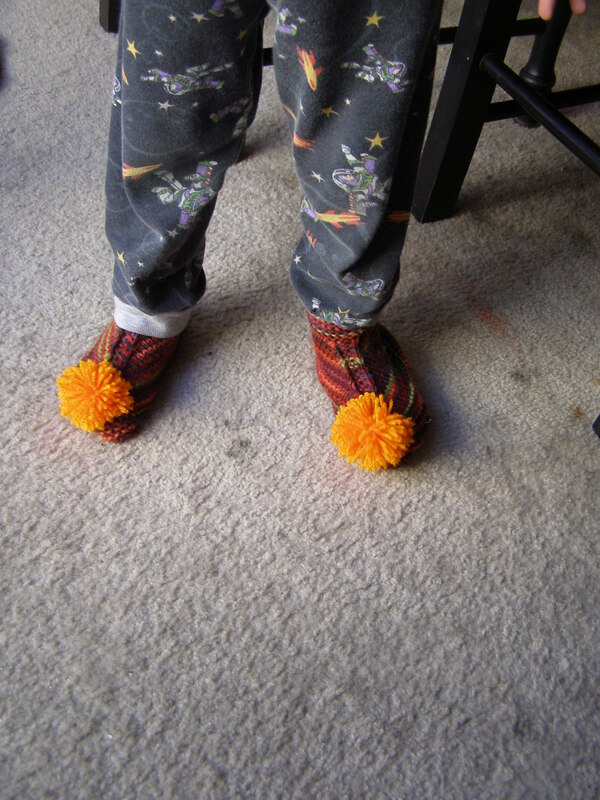 They actually love their slippers (they call them their “Elf Shoes”) and Miles does wear his. Ella's slippers, however, are knit out of a too soft yarn (Caron Simply Soft) and wont' stay up. I recommend a nice stiff wool for these. The pattern is the Two Needle Slipper, which is a staple in slipper making and for good reason. These knit up super fast! I had my doubts using worsted weight and a size 5 needle, but I could finish one slipper in about an hour. Ella is a size 13 or so shoe and I used the child size for her. Miles wears a size 9 toddler and I decreased the cast on and all other counts by 10 stitches (cast on 66 and decreased down to 30 stitches) but kept everything else the same and they are perfect for him.